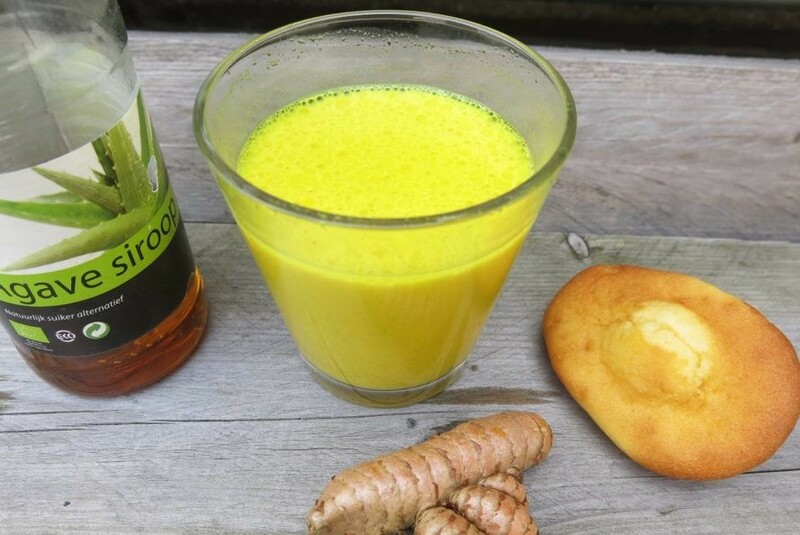 Golden Milk is an ancient Ayurvedic drink, made using turmeric and milk, and it offers one of the best ways to incorporate the vibrant ochre rhizome into one’s daily diet. Turmeric, a.k.a. 'spice of life,' has its origins in India and is well-known for its use in curry dishes. However, its active ingredient, curcuma, is a powerful medicinal food with a wide range of therapeutic properties: it's a painkiller, antioxidant, anti-inflammatory, anti-bacterial, anti-cancer, blood purifier and immunity and brain booster. 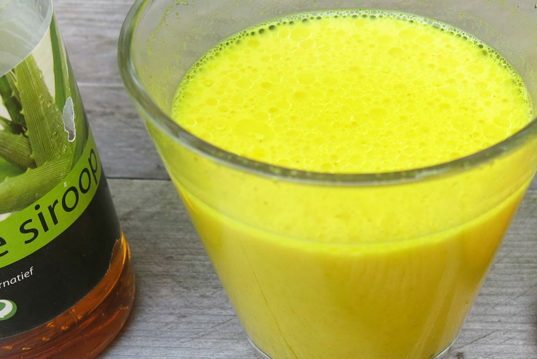 Delicious and versatile, Golden Milk can be enjoyed by the whole family as an energy-boost for tired parents, a morning alternative to coffee or as a cold-prevention sunny drink for kids. For this Golden Milk you first need to make a paste. 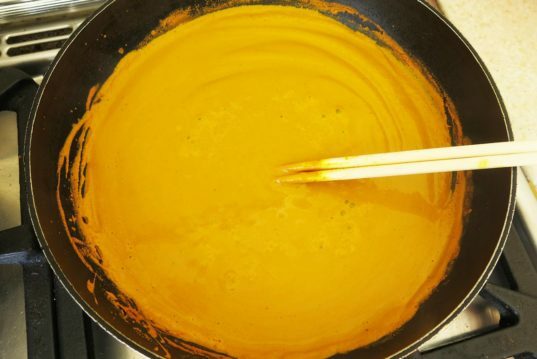 So heat half a cup of water and turmeric powder in a pan over medium heat (350°F), stirring constantly. Turmeric and pepper potentate each other’s bioavailability and absorption increasing each other’s benefits, so add ground pepper to the mix and stir for about 8 minutes until it becomes a smooth paste. If it turns too dry, add some more water. 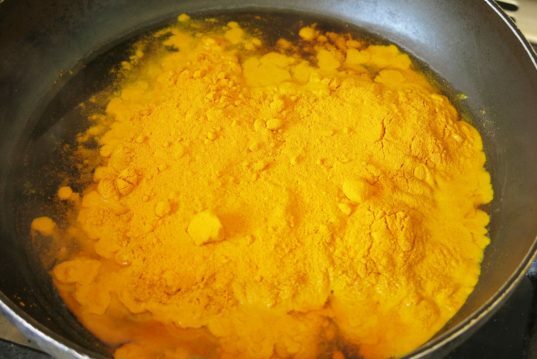 Add a spoonful of coconut oil to allow the turmeric to dissolve into the fat and make it easier for your body to absorb. Leave aside to cool down. 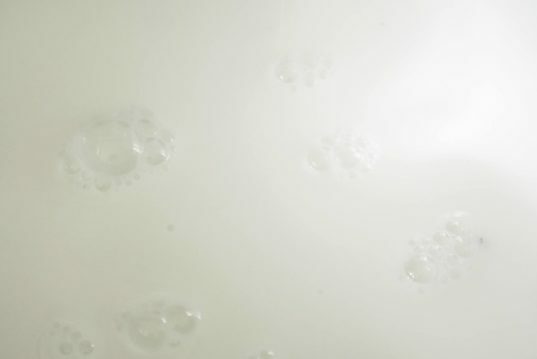 Medium heat (350°F) a glass of coconut milk or any other milk of choice like rice, cashew or almond milk. 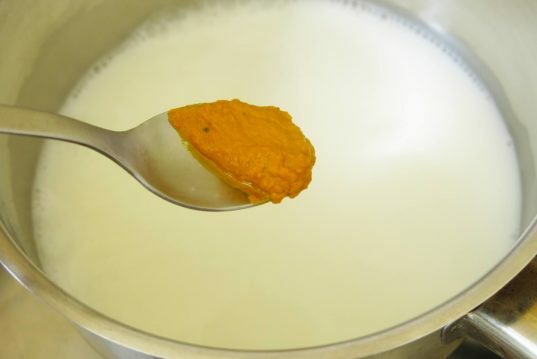 Before the milk starts bubbling, add a generous spoonful of turmeric paste and stir for a few extra minutes. Serve in a glass or cup with a dash of agave syrup. 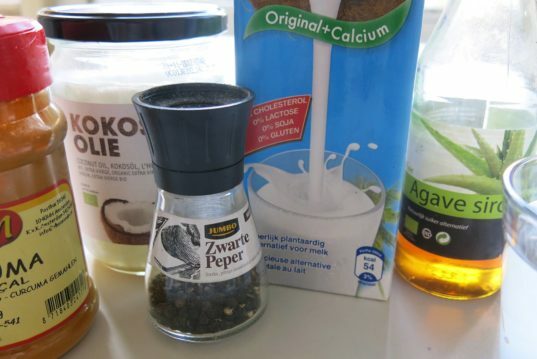 The leftover Golden Paste can be stored in a glass jar for about 2 weeks to be used in smoothies, make salad dressings, curries, or a daily Golden Milk.